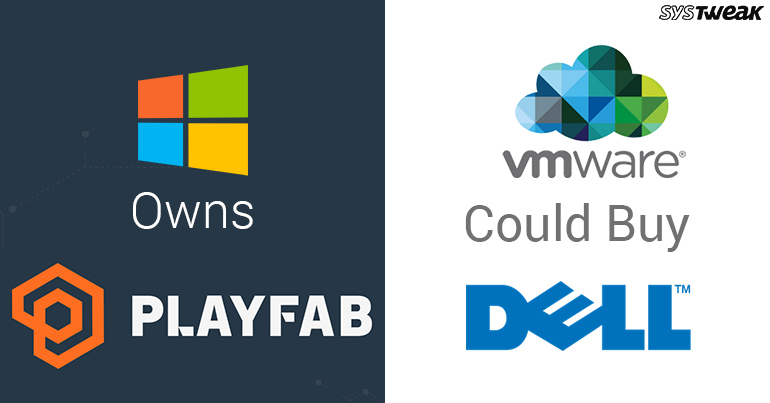 To improve the built and operation of modern games, PlayFab joined Microsoft. WHAT IS ACQUISITION ALL ABOUT? Microsoft has acquired PlayFab making it easy for game developers to quickly launch their titles online with streamlined back-end services. The company will be now incorporated into Microsoft’s Azure gaming group. PlayFab gives game developers a platform to host and operate online games and analytics tools which helps them understand and monetize users.The startup has been a great help for the developers in reducing the length of work needed to launch a title extensively with a framework that could manage a global player base. The company not only helped many small-scale developers but also well-established developers such as NBCUniversal, Rovio, Capcom, and Disney. As of now, there are 1,200 “live games” running on PlayFab’s platform and according to the group, they are processing more than 1.5 billion transactions per day. WHAT CEO OF PLAYFAB SAID ABOUT THE ACQUISITION? With time, all the IT giants have realized that gaming market is vast and how the attention paid to the cornerstone technologies enabling game development and monetization has increased. Microsoft is one of them as the company has been focusing on the company’s Xbox division and its latest console hardware and services. Moreover, with the latest acquisitions like with Beam and Altspace VR, this seems to be clear than ever. Dell Technologies is soon going to go through a reverse-merger with VMware. Dell Technologies owns 80% of VMware as of now but according to the sources the $60 billion cloud computing company could take over Dell in a reverse merger. It might then allow Dell to be traded publicly without any formal listing. This could be the industry’s biggest deal ever. VMware, which was soaked up by Dell in its $67 billion procurement of EMC Corp., could now make a U-turn and buy Dell. Once the deal is done, VMware would supply shares to Dell’s private owners Michael Dell and Silver Lake, which could then sell the stock on the public market, which will give them a chance to earn profit and also help pay some off its $50 billion debt. It would also likely be the biggest deal in tech industry history, giving investors who backed Dell’s move to go private in 2013 a way to monetize their deal, while helping Dell pay down some of its approximately $50 billion debt. Following the news, VMware’s stock fell and at midday, it was down to 8.5 percent. VMware was said to be the biggest asset of Dell when Dell acquired EMC for $67 billion. With the acquisition, Dell got 80% of VMware, which is said to be the explorer of technology called virtualization. It gives companies a method to run the large computers in their data centers methodically as they were able to assemble multiple “virtual” computers on a single piece of hardware. With the time, VMware’s growth probability has been modulated as companies have moved more of their framework from their own data centers to large cloud providers such as Microsoft and Amazon. In 2016, the company tried to make the flow smooth and allowed customers to run its software on arch-rival Amazon’s cloud service. Well, the reverse merger is a bold step indeed which is being considered by Dell and its advisers including a public stock offering. The company’s board will hold up a meeting later in the month to discuss the options as it finds ways to boost revenue and inflate funds. The exact evaluation of Dell can’t be done as a company is private. Dell procured itself private in a $24.4 billion deal in 2013. Well, this merger will help both the companies and would be considered as the biggest so far. The VMware’s revenue growth has slowed down. The annual sales went up to 6.7 percent in 2016 from 2015, which is very less as compared to the last six years. However the total earnings of $1.2 billion were perpetual for the company for 2016, and 2017, which indicates the company will reach its zenith. Chrome Version 64 Launched: The Best Of The Best!